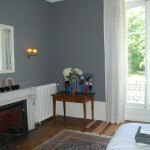 In the bedrooms of Chateau les Bardons we have combined the charm of the past with the comfort of today. Old wallpapers and antiques have been brought together with great luxury and real comfortable box spring beds. In this ambiance you certainly will enjoy your nights like the first owner of the chateau, King Francis I. 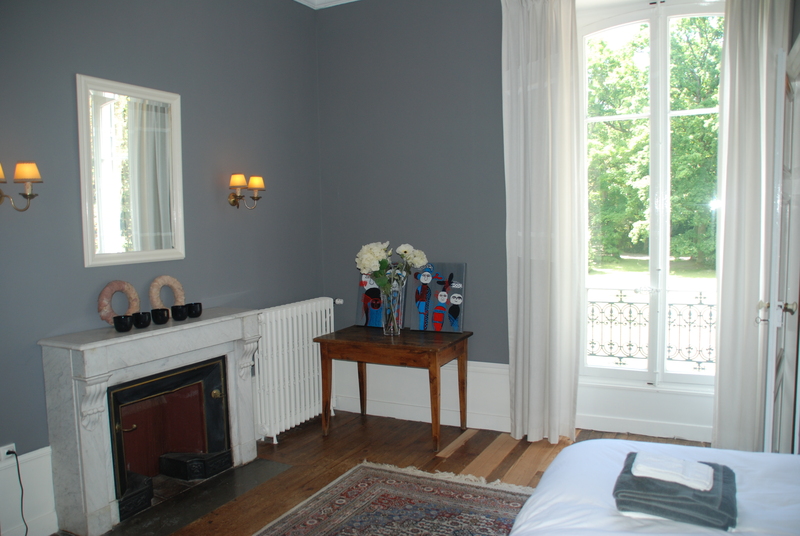 The chateau has 6 bedrooms, which are all tasteful decorated and have their own character and appeal to different tastes. Some bedrooms have an old fireplace. However, romantic though this may be, lighting the fire is unfortunately not allowed for saftety reasons. 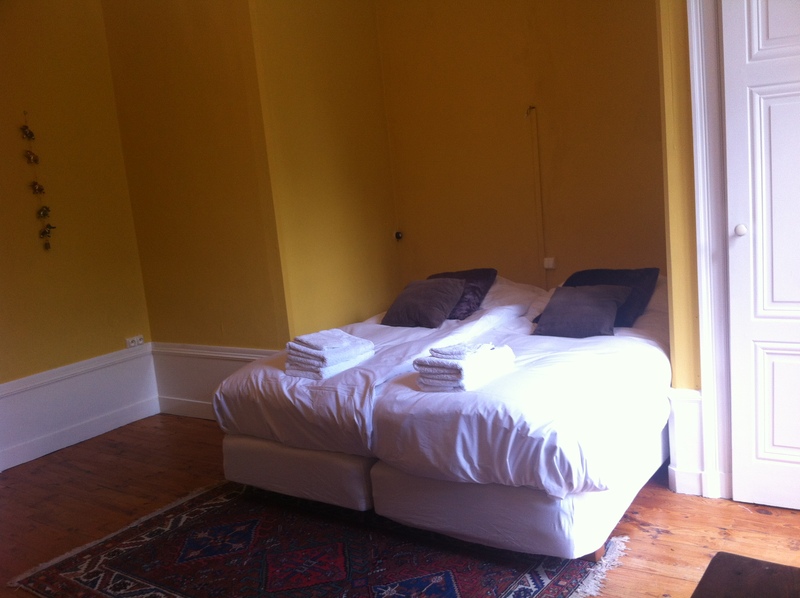 All bedrooms are double rooms and have twin beds that are normally pushed together to form doubles. Like the rest of the Chateau, the bedrooms are non-smoking. Three of the rooms have a separate cabinet, a closet with a wash basin with hot and cold water. A fourth one has a wash basin. 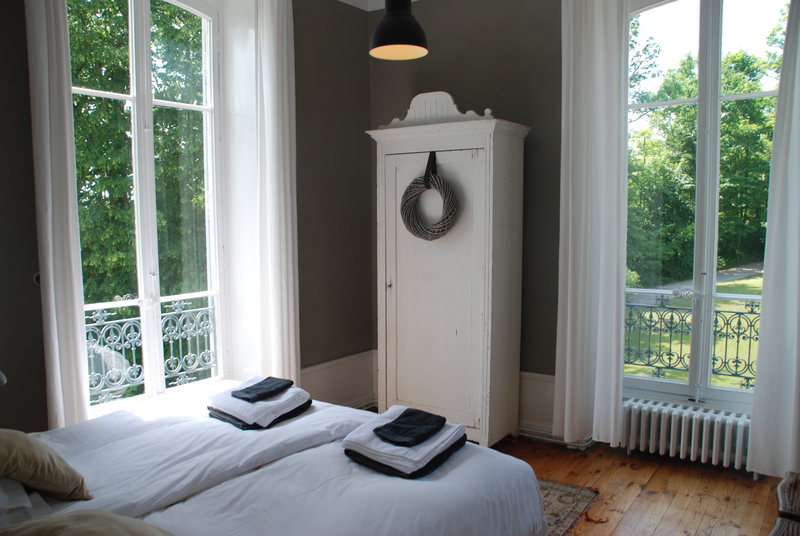 The bedrooms on the first floor have a beautiful view on the park and the fields surrounding the chateau. 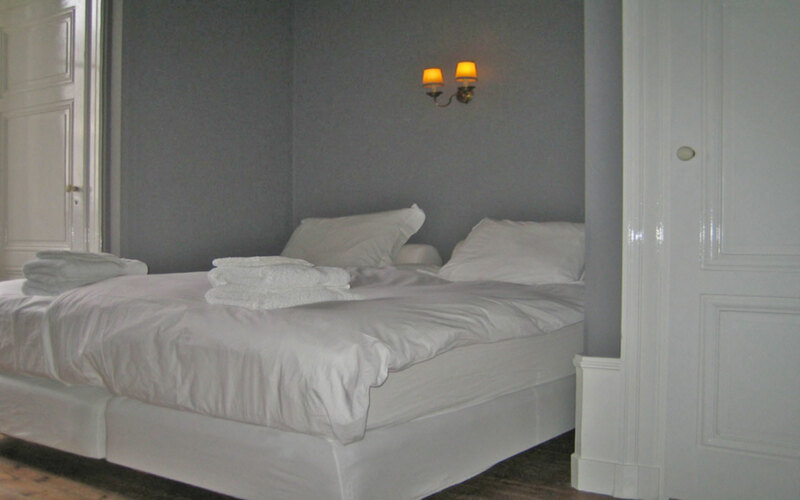 If you have requested bed linen and bath linen we will make sure that the beds have been made before your arrival and you will find towels on your bed. For the small princesses and princes we have a babycot available. 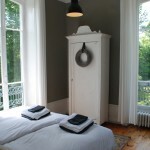 At Chateau Les Bardons it’s possible to rent the bed and bathlinnen as well. 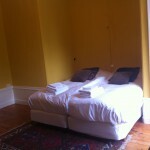 When you opt for this we will make sure the beds are made before your arrival.